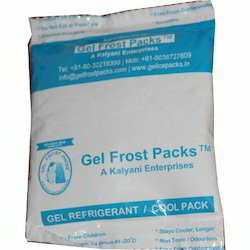 Providing you the best range of cool gel packs, ice pack, freeze gel pack, gel ice packs, plastic ice packs and polar pack gel packs with effective & timely delivery. 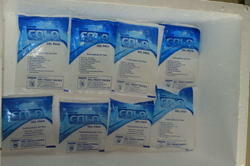 We are engaged in the making of Cool Gel Packs to maintain the freshness of the vegetables. Taste of green vegetables remain the same and can be saved from the harsh temperature conditions. 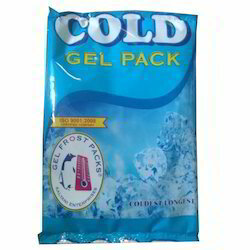 We are engaged in bringing forth a wide collection of Freeze Gel Pack.These cold gel packs for fish are quality tested on stringent terms and enable the hassle-free shipping of fishes. Freeze Gel Pack is another innovative product that provides a chilled transportation environment for your product without the messiness of melted ice and the high cost of dry ice. For the transportation of fresh, perishable, heat sensitive products, gel frost delivers a chilled ambient temperature for up to 24 hours (using insulated containers) without the messiness of melted ice. 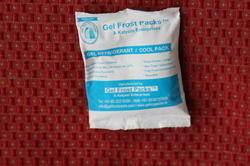 Unlike ice, gel frost absolutely does not leak fluid throughout the entire chilling process. The application for gel frost is wide. It can be used in the chilled transportation of cakes, chocolates, fruits, vegetables, flowers, seafood, meat and even medical products like vaccines and serums. 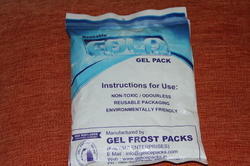 Gel ice packs are an excellent choice for sufferers of chronic pain from injuries, illness, and arthritis. We offer a wide selection of Plastic Ice Packs For Healthcare Products to provide optimal relief by treating a variety of painful ailments. Cold wrap therapy is an exceptional method for treating pain and injuries. The cold reduces swelling by limiting blood flow to the area of application, allowing for a more comfortable healing process. These instant ice packs are a superior form of treatment because the non-toxic filling is safe and holds temperatures for longer. 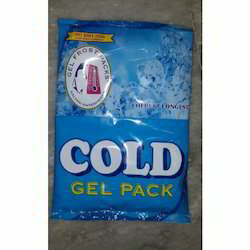 In addition, these gel ice packs for healthcare products are lightweight and comfortable, and the gel molds to the area of application for complete relief. They are pliable and very durable, ensuring that you receive the best value possible. Polar Pack Gel Packs provide reliable non-mechanical refrigeration for the safe transport of food products, pharmaceuticals, and other medical products. Polar Pack Gel Packs is multi-layered exterior minimizes surface condensation which protects the product from moisture damage. Outer film layer assures products arrive in top condition by absorbing condensation. Utek Phase Change Materials Phase change formulas ideal for products requiring frozen temperatures or extreme cold that may not tolerate dry ice or CO2. These semi-rigid foam bricks never change shape during freezing, thawing or transit. 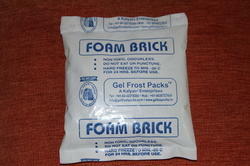 Polar Pack Foam Bricks maintain designated packing configurations throughout the trip. Each brick is vacuum sealed for consistent weight and shape. 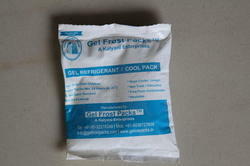 Cold Gel Pack are soft pouch coolant cold packs, nontoxic. Used for last mile transportation of temperature sensitive products that require cold condition storage to maintain quality, effectiveness. 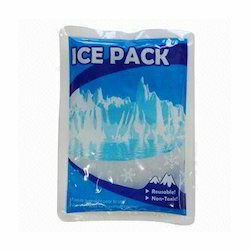 Generically known as Ice Packs or Gel packs or Cool Packs, these products have a higher cold retention capacity as compared to wet or dry ice. These soft cold packs are long-lasting and economical, providing superior protection for transportation or maintenance of temperature sensitive products. Best used for logistics of fresh foods, lab samples, vaccines, fish, seafood, meat, fruit, flowers, etc. 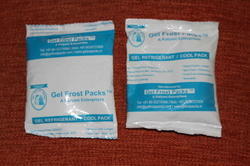 We are offering Biological Ice Pack. We are offering Cool Packs.